With the Fulton Saw Blade Storage Rack you can neatly and safely store eight saw blades. 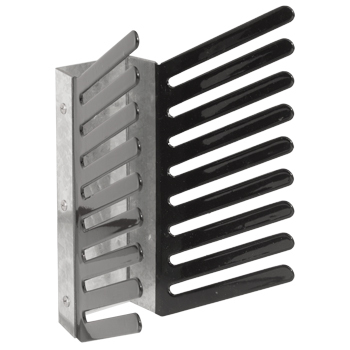 The Saw Blade Storage Rack holds blades from 7-1/4" to 12" in diameter safely and with the rubber lined slots the rack will protect your saw blades from damage while storing. When changing out blades it's easy to identify each blade in the rack without moving any other saw blade. Holds saw blades from 7-1/4" to 12" dia.